Carya Tallaya - Casas de Campo price per day from € 80 Located in the Vale das Éguas, Carya Tallaya- Casas de Campo offers 4 individually designed houses. 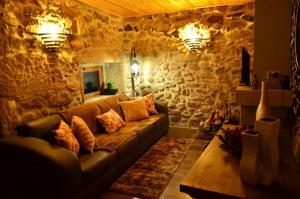 Each house has exposed stone walls, a seating area with flat-screen TV, central heating and solar energy production. Casas do Regato price per day from € 110 Casas do Regato owes its name to the stream crossing the 19th-century property. Located in Alcains, a 10-minute drive from Castelo Branco, this 9-acre farm offers rural elements combined with contemporary design. Guests can use the fully equipped business centre or enjoy the outdoors using one of the rental bicycles while their children have fun at the playground..
Quinta Do Adamastor price per day from € 72 . Casa Dos Corte-Real price per day from € 45 Located in Pinhanços, Casa Dos Corte-Real is a traditional 18th-century building. The rooms and suite feature wooden décor, a seating area and a satellite TV. Guests can enjoy breakfast on the terrace with views of Serra da Estrela. The Corte-Real has gardens, a library and a chapel which is dedicated to the village of Pinhanços..
Chao do Rio - Turismo de Aldeia price per day from € 80 Located in Seia, Chao do Rio - Turismo de Aldeia features rustic homes, as well as an outdoor biologic swimming pool and free bicycles. The pet-friendly units all have a living area with a sofa, flat-screen TV and a CD player. A Velha Padaria price per day from € 49 Located in the village of Matança, 32 km from Mangualde, A Velha Padaria offers guests the opportunity to participate on a dynamic rural tourism experience. Guests can prepare their own meals using the fully equipped kitchen. Serra da Estrela Natural Park is 65 km and is the perfect place to enjoy winter sports..
Casas de Xisto do Skiparque price per day from € 65 . Casa d'Avó Casa d’Avó is a 4-storey house located in Arcozelo da Serra, 10 minutes’ driving from Gouveia and Serra da Estrela Mountain. This 3-bedroom house features a traditional fireplace in the kitchen. 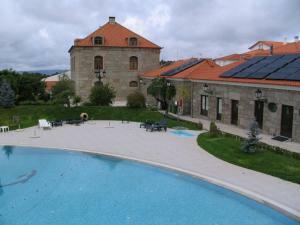 Guests can explore the surroundings and head to the ski slopes in Serra da Estrela in winter. 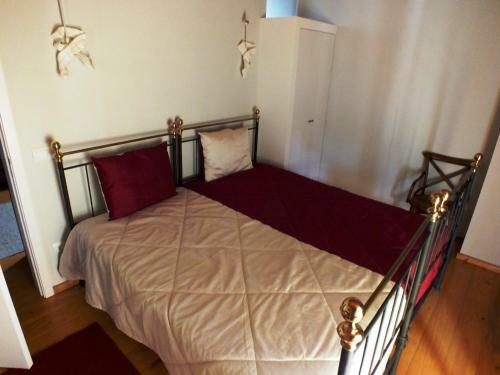 Casa do Limoeiro 1 price per day from € 70 Set within Serra da Estrela Natural Park, Casa do Limoeiro 1 is a quaint one-bedroom holiday home with wired Internet access. With a fireplace, the house features a TV, a sofa, a double room, and a bathroom with shower. A small selection of restaurants is a few steps away. 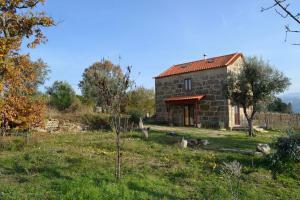 Retiro da Lameira price per day from € 60 Retiro da Lameira is a granite-built house located in Seia. An Italian-style breakfast is provided each morning for guests of the Retiro. 5 km away and has traditional Portuguese restaurants. 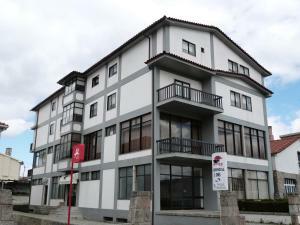 Descanso Serrano price per day from € 60 Located at the foot of the Serra da Estrela mountain range, in the town of Manteigas, this hotel offers elegant rooms with free Wi-Fi. The rooms of Descanso Serrano are decorated with neutral colours and wooden floors. Every morning, guests can enjoy a continental breakfast made with fresh regional products. Casa Dos Pocos price per day from € 65 A heated outdoor pool and various themed relaxation areas are offered by the Casa Dos Poços in Vilar Torpim. Each room has a colour theme and a modern private bathroom. When weather is sunny, it can also be served on the covered lounge terrace by the pool..
Bairro do Casal - Turismo d'Aldeia price per day from € 60 Featuring an outdoor swimming pool, this country retreat is located 180 km from Oporto, within typical Portuguese stone houses. Casal offers accommodation in completely equipped villas in Murça, around 20 km from Vila Nova de Foz Côa. A swimming pool is available for guests during summer and rental bicycles offer the opportunity to discover the famous Douro region..
Quinta de Leandres price per day from € 55 This granite cottage is located in a rural area less than 5 minutes’ drive from the centre of Manteigas Municipality. The spacious rooms each feature a balcony with views of the mountains and free Wi-Fi. Guests are offered a free continental buffet breakfast each day. Residencial Dom Dinis price per day from € 49 Located in the Portuguese interior, the Alojamento Local Dom Dinis offers cozy accommodation just an 18-minute drive from the Serra da Estrela Natural Park. The guest house provides a buffet breakfast each morning and daily cleaning is included. 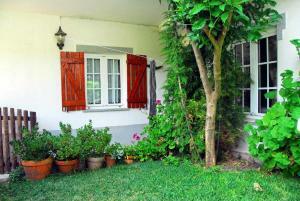 The unit is pet-friendly, as there are no extra charges for guests wishing to bring their pets..